Tony International (HK) Co.,Ltd is located in Dongguan -the south of China, specialized inresearching, manufacturing and selling the test equipments. Continue its advanced designtechnology and concept, excellent technology of producing and outstanding system of qualitymanagement; providing the enterprises and the quality inspection agencies with high classproducts.All products meet the International testing standard. 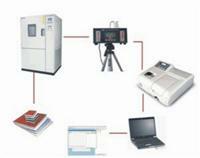 Meanwhile, we provide customer withcomplete solutions of laboratory.